Some friends & acquaintances are attempting to organise a Walk. They are trying to plan a route to or from a place of political significance or media interest in Brisbane. The folks who enforce the Peaceful Assembly Act 1992 at Brisbane City Council are making this nigh impossible. They are trying gather friends, high-profile supporters and politicians to join the walk........and they need your help. The tentative date for the alleged Brisbane Walks For Water is Friday the 23 March, 2012 at noon (12:00 gmt +10). They shall rendezvous at Reddacliffe Place and march around the CBD if they can get permission to do so. They don't have public liability insurance. They have not filled out countless forms or got all the necessary approvals. They just want to organise a walk. How hard can it be? 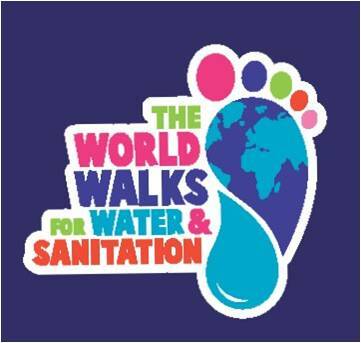 It is a walk for water & sanitation. Why is the world walking for water and sanitation in March 2012? Do you even know what the hell sanitation is? One in eight people in the world do not have access to safe drinking water. One in three people don’t have access to a private clean toilet. 2.6 billion people still live without a clean and safe toilet ( UNICEF/WHO Joint Monitoring Report, 2010). Instead, they have only a roadside, bucket or plastic bag to use. This is humiliating and also often leads to water contamination and the spreading of diarrhoeal diseases such as dysentery and cholera. Women and girls are especially affected by poor sanitation access. They risk being sexually assaulted when using latrines in remote locations or walking to fields to defecate. 4,000 children die every day from diarrhoea caused by unclean water and unsafe sanitation ( WHO, Safer Water, Better Health, 2008). more than HIV/AIDS, malaria and measles combined. This lack of access to clean water and sanitation impacts severely on health, education and income. It’s time for change. We are not talking about a change of Government. The World Walks for Water and Sanitation 2012 is a global event taking place around World Water Day, from 17-25 March 2012. Thousands of people across the world will walk together to demand an end to the water and sanitation crisis. The walks will build on the success of the World’s Longest Toilet Queue in 2010 and the World Walks for Water campaign in 2011. Last year, over 350,000 people in more than 75 different countries walked together to demand that politicians keep their promises and step up their efforts to protect the right to sanitation and water for all. in 2012 and keep up the pressure! In April 2012, world leaders will attend the second High-Level Meeting (HLM) of the Sanitation and Water for All partnership in Washington D.C. It is really important that your Development or Finance Minister attends this meeting. You can take the opportunity of your walk to invite them to attend and demand that real progress and firm actions are delivered upon.